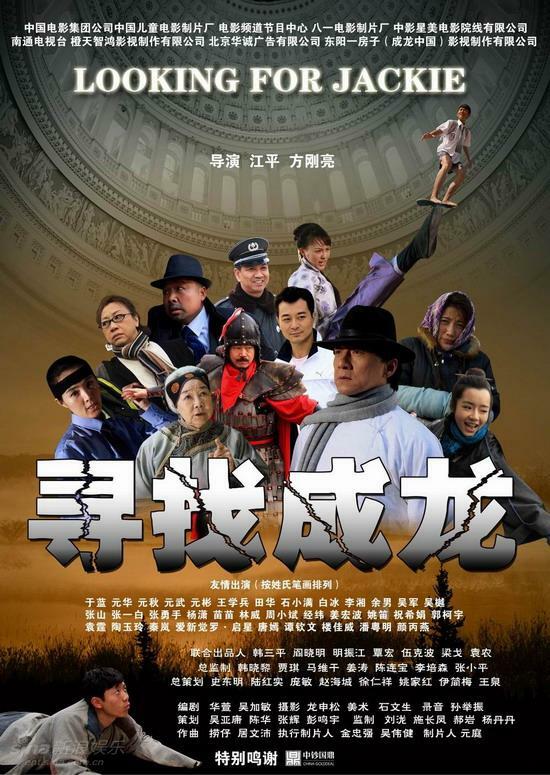 With the budget of 100 million yuan, the film features a host of strong cast members including singer Hu Ling, pianist Lang Lang and comedian Guo Degang. But more surprisingly, Lin will play alongside the Hollywood megastar Angelina Jolie. FBA: What can Iron Man 3 shoot in China? Veteran actor Sun Honglei leads a Chinese version of “Leon: The Professional,” starring opposite actress Wang Luodan. The suspense romantic film “Sha Jie” is intensely shooting in Beijing. A new series of still shots have been released to drum up the interest of the audience. The 12 Star Signs [Zodiac?] Micro Films Project is co-filmed by Lu Chuan, Wang Xiaoshuai, Teng Huatao ["Love is Not Blind"] and Hao Lei. Each will shoot three films. Lu Chuan’s “Heart Direction”/”The Way to Heart” (on video) based on Libra - freedom to choose? Stephen Fung’s Tai Chi 0, a period martial arts film, will also be a premiere in North America. The wedding was held by Huayi Bros’ top actress Li Bingbing. The bride is Li’s younger sister and a manager at Huayi. The couple registered as a couple in Las Vegas, Nevada two years ago. MSN: Are wedding bells set to ring for Shu Qi and Stephen Fung? 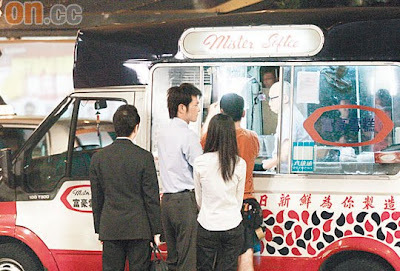 “Do they really want me to get married so desperately?” Shu Qi questioned helplessly. A Chinese actress by the name of Wan Jiarong has shockingly claimed that Hong Kong actor Deric Wan is her ex-flame and cheated her of her money and love. MSN: Is Eason Chan’s wife a party animal? The government of Hong Kong has issued its highest level typhoon warning for the city - known as the number 10 signal. Such a designation is reserved for storms expected to produce hurricane-force winds. Son is illegitimate offspring of love affair with cousin Winnie Ho. MGM Resorts is trying to open casino while reputation of Macau partner, Pansy Ho, is scrutinized. When confronted with a similar question a couple of years ago, New Jersey, a state that is no stranger to organized crime, balked — leading to MGM’s expected exit from Atlantic City. The real heroes of this film are the two leads—Jaycee Chan and Fiona Sit, regardless of whether they were an actual real-life item before (as the tabloids claim), they are the one of the most convincing on-screen couples we’ve seen in a long time…Who would have thought frigging Jackie Chan’s son would turn out to be a bit of an actor after all? Beijing-set remake of the 1984 film looks lush but is dramatically bland and culturally problematical. A new trailer for “The Green Hornet” has offered an early peek at how Jay Chou passes as the Green Hornet’s sidekick. “Driverless” actress Wang Luodan says she got her role in the film thanks to an eavesdropping experience. This year’s Golden Horse Awards Ceremony will shift to Taoyuan County and be held on 20 Nov 2010. Charlene Choi revealed that she is tired of doing comedies and hopes to some day do a romantic tragedy, reported Chinese media. 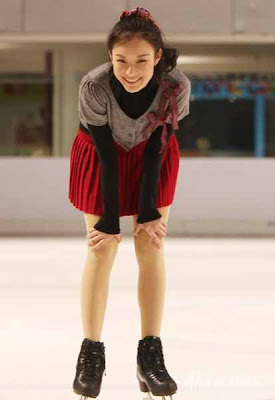 “A lot of people approach me to do comedies and I generally don’t turn them down, but I hope a director will ask me to do a romantic tragedy,” she said during a promotional event for her new film “Jade Pearl” - yet another comedy - in Shanghai on Sunday. Controversial Hong Kong actor Edison Chen has announced his plans to return to the music scene by October. He revealed this in an interview with Sina after performing John Lennon’s Imagine at Hong Kong rapper duo Fama’s recent concert at the Hong Kong Coliseum. Sammi Cheng and Andy Hui have fuelled more speculation that they are back together, after they flew back from Taipei together. Hui, 42, who was the first to be seen in the arrival hall of the Hong Kong International Airport on Thursday, was adamant that he had gone to Taiwan for business - to get a director for a new music video, he told Ming Pao Daily News. Lin Chiling expressed her disappointment over the dismal ratings of her Japanese drama serial “Moonlight Lovers” and revealed that she hopes to take some acting classes next year, reported Chinese media. One month after giving birth to her second son, Cecilia was reported to be on the prowl for opportunities to resume her acting career. Cecilia is believed to need to supplement her mother’s expenses. It was reported that Stephen was offering Cecilia the leading role for the upcoming sequel to his widely-successful King of Comedy, a 1999 comedy in which Cecilia’s turn as a club girl propelled her to fame. Stephen Chow is the second director who has approached Cecilia for movie roles - director Derek Tung had previously indicated his interest in casting both Cecilia and her son Lucas in a movie. Michelle Reis was celebrating her 40th birthday at a restaurant with husband Julian Hui, billionaire and son of Hong Kong’s shipping and property tycoon Hui Sai Fun, when she ran into her old flame, Joseph Lau…Just the day before Michelle had put up a picture of her in a bikini on the Web, apparently in a bid to dispel rumours of her pregnancy. (China) A Tempo Films, WXS Prods. and Beijing Bona Films & Television Culture Co. presentation. (International sales: Films Distribution, Paris.) Produced by Hsu Hsiao-ming, Wang Xiaoshuai, Hsu Bing-his, Zhang Hao. Co-producer, Isabelle Glachant. Directed by Wang Xiaoshuai. Executive director, Li Shuang. Screenplay, Yang Yishu, Wang. An irreparable father-son bond triggers a study in bleak cityscapes and pervasive intergenerational malaise in “Chongqing Blues.” Initially as glum as its title would suggest, Wang Xiaoshuai’s poignant if plodding ninth feature — which follows an absentee father trying to glean information about the dead son he never knew — eventually opens up with a handful of quietly affecting moments, but elsewhere bogs down in psychodramatic flashbacks that ultimately sentimentalize as much as they clarify. Respectable fest run looks assured for a downbeat drama that won’t do much to widen the Chinese helmer’s commercial following offshore. Forming a loose urban triptych with Wang’s “Beijing Bicycle” (2002) and Cannes jury prizewinner “Shanghai Dreams” (2005), “Chongqing Blues” opens with a blunt, effective evocation of its title: It’s Chongqing, and it’s blue. A cable car carries sea captain Lin Quanhai (Wang Xueqi) above the harbor and into the city, located in China’s Sichuan province and captured here at bustling street level. 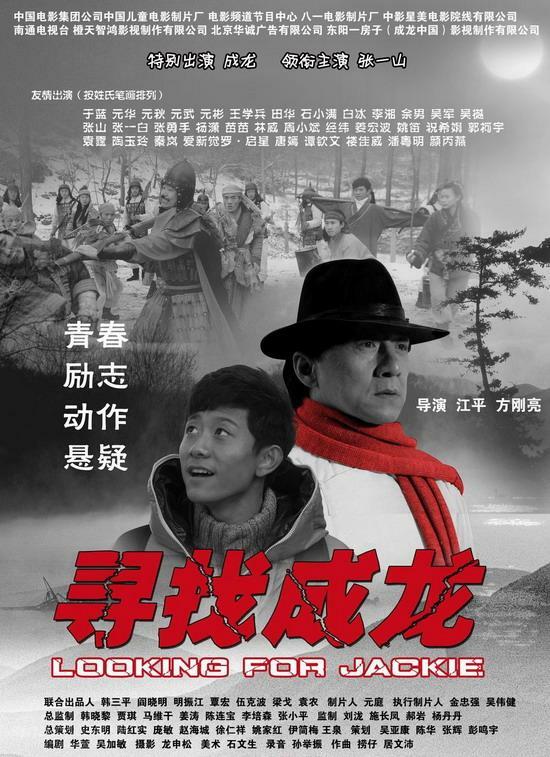 Quanhai is on a sad and lonely mission: Returning from several months at sea, he’s seeking firsthand accounts of the recent death of his son Bo (Zi Yi, seen in the past), who knifed two people in a mall, took one hostage and was eventually shot dead by police. Angrily rebuffed by the boy’s grief-stricken mother — who, like Quanhai, now has a family of her own — the father patiently, doggedly reaches out to those involved: the two stab victims, the brave hostage (Fan Bingbing), even the cop who fired the gun. With some persuasion, most of them prove willing to talk, their firsthand accounts murkily illustrated by flashbacks and security-cam footage. Pic is shot in a key of dour naturalism, with little artificial lighting and a searching handheld style that mirrors the restless probing of Quanhai’s quest; Wu Di’s camera frequently favors a position from directly behind the man’s head, suggesting a Sino spin on the Dardenne brothers’ “The Son,” also a fable of fatherly redemption. Yet there’s a rather studied quality to the bleakness here, which is interrupted periodically by explosive emotional outbursts that don’t always feel organic. Quanhai is obsessed with piecing together a portrait of his son (quite literally, when he demands a blown-up poster of Bo’s face from a low-grade screen capture), setting up a psychological mystery that the flashbacks dispel rather too quickly. These scenes do energize the film to a degree, administering a jolt of hostage drama to the proceedings. But the more we see of this troubled teen, the less interesting he becomes, especially in a contrived memory sequence, set at the port city of Rizhao (pic’s Chinese title is “Rizhao Chongqing”). As ever with Wang’s films, “Chongqing Blues” is invested in thematic questions that loom large over the central drama, as signaled by repeated shots of the city’s fog-enshrouded skyline. An immersive sequence set in a nightclub jammed with revelers blissing out on teen pop conveys the profound alienation Quanhai (and by extension, all parents his age) feels toward the younger generation — depicted here as almost uniformly aimless party animals, too busy texting and shooting pool to show their elders the proper respect. Countering this ungenerous view somewhat is the character of Bo’s best friend, Xiao Hao (well played by Qin Hao), who resists Quanhai’s company at first but eventually comes around. 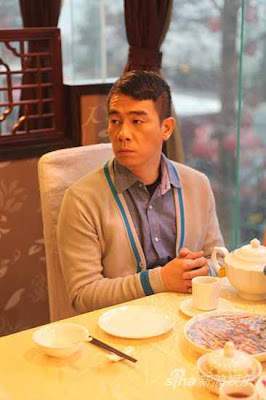 So, too, does the audience, helpfully enabled by vet thesp Wang Xueqi’s stoic, stubborn yet affable presence as a dad trying to bridge the generation gap and atone for his negligence — and, in the film’s relatively optimistic view, succeeding as best he can. Music, withheld at first but for a few wryly plucked guitar strings, gradually trickles into the picture and threatens to turn downright treacly in the final stretch. Camera (color, widescreen), Wu Di; editors, Yang Hongyu, Fang Lei; music, Peter Wong; art director, Lu Dong; set decorator, Guo Zhen; costume designer, Pang Yan; sound designer, Fu Kang; line producer, Yuan Yi-hsin. Reviewed at Cannes Film Festival (competing), May 13, 2010. Running time: 114 MIN. Not so much a whodunnit as a what happened, the tenth feature by mainland Chinese director Wang Xiaoshuai (Beijing Bicycle, Shanghai Dreams) traces an absent father’s attempt to discover the circumstances behind the police shooting of a son he abandoned fifteen years previously. 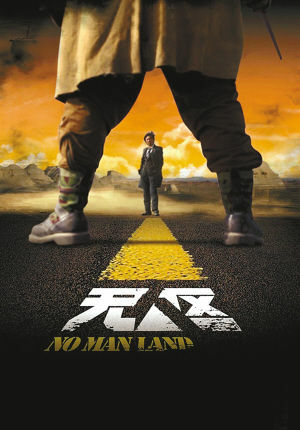 A strong performance by Wang Xueqi as the father provides emotional ballast but fails to make up for the glacial pacing of the drama; and although there are some effective emotional tugs and an evocative use of the film’s dirty industrial city setting, the audience’s investment in the slowbuild structure is never paid back in full. Wang’s films are virtually invisible in China, and while there is little except its portrayal of disaffected youth to trouble the censors in Chongqing Blues, its resolutely arthouse target means it is unlikely to be an exception. Elsewhere in the world continued festival action is likely after the film’s Cannes competition berth, and theatrically it may just add a territory or two to the pair (France and Greece) notched up by the director’s previous, the high-concept but low-tension leukaemia drama In Love We Trust. Chongqing is a big, ugly river-port city in Sichuan province. Dop Wu Di’s atmospheric camerawork presents it as a reticent, unromantic place, offering grey skies and walls of dirty concrete (in the city) or rusting metal (in the shipyards) to the inquiring eye. And reticence, not to say downright hostility, is what weathered ship’s captain Lin Quanhai (Wang Xueqi) encounters at every turn as he tries to find out what happened to his 25-year-old son Lin Bo (Zi Yi), news of whose death reached him six months after the fact, on his return from a long sea voyage. His former wife Yuying (Li Lingyu) refuses to let him in, but from some old newspapers she throws at him, Quanhai discovers that Bo was shot by police after stabbing two people in a supermarket and taking a woman doctor (Li Feier) hostage. 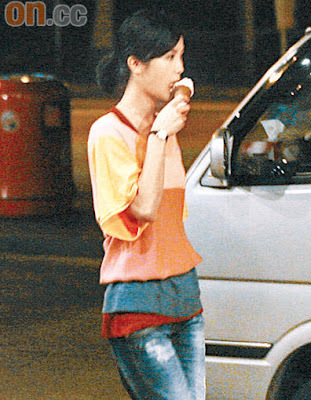 Bo’s best friend, Xiao Hao (Qin Hao) initially refuses to tell Quanhai anything, but agrees to enlarge and print the only photo the father can find of his dead son - a still from the CCTV camera footage of the supermarket incident. There’s a poignancy here as Quanhai contemplates the blurred and pixellated face of the 25-year-old Bo, who he last saw when he was 10; the not-so-hidden subtext is that the father’s investigation is actually an attempt to build some kind of rapport with a son he never knew, and assuage the demons of guilt. But although all this is there for the reading in the twitches of Wang Xuegi’s impassive face the director never quite seems confident that we’ve got the message, repeatedly flogging the delicacy out of the pixellated-portrait metaphor. And although some of the meetings the stubborn father forces on friends and witnesses in the course of his quest are affecting, they also have a plodding inevitability about them: it comes as something of a relief to finally meet the policeman who shot the fatal bullet after ticking off the supermarket guard, the girl who was stabbed, the doctor who was taken hostage and the girlfriend whose dumping of Bo triggered his cry for help. Emotionally, the film is no less linear, moving from tight-lipped closure to something very close to sentimentality (underlined by sparse string melodies that become more insistent and weepy towards the end) as the father discovers that his lost son was obsessed with him, and the sea. As a film about fathers and sons, Chongqing Blues has some resonance. The film is also chock-full of images of passage and change: the river that flows down to the sea where two key scenes are set; the rusty cable car that connects port and town; shopping mall escalators, monorails, motorway ramps and bridges: all connect with the constant movement that is Quanhai’s career, and also, until he begins questioning it, his life strategy. But the slight, mushy story, and the overly pretty actors cast in the three main youth roles, are not really up to the task of carrying what would otherwise be a stimulating symbolic load. In Wang’s opinion, the potential success of Chongqing Blues proves the exceptional efforts of his film crew, but it is not representative of China’s film industry, especially not the artistic film scene that has been “gradually dying,” according to Wang, since 2003 when the market opened up to high budget, profit-geared blockbusters. Bill Kong’s Edko Films is launching international sales on award-winning Chinese director Gu Changwei’s Life Is A Miracle, starring Zhang Ziyi and Aaron Kwok, here at Cannes. Set in a small Chinese village, where an illicit trade in human blood has resulted in the spread of HIV, the film follows two fellow AIDS sufferers, played by Zhang and Kwok, who fall in love with each other. Meanwhile Edko has also picked up international rights to Jacob Cheung’s Rest On Your Shoulder, a fantasy romance that combines live action with CGI animation. The story follows a young woman who makes a pact with a mythical being to become a butterfly in exchange for the recovery of her sick fiancé. The cast is headed by Aloys Chen, Gigi Leung, Kwai Lun-mei and Jiang Yi-yan, while the crew includes award-winning Japanese composer Jo Hisashi (Departures, Spirited Away). 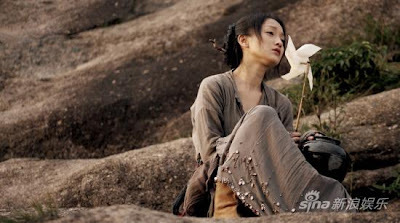 Fox Searchlight has taken North American rights from IDG China Media to Wayne Wang’s sweeping epic Snow Flower And The Secret Fan. Gianna Jun and Li Bing Bing star in the adaptation of Lisa See’s bestseller about female friendship in 19th century China. Hugh Jackman also appears. However, producer An Xiaofen says the film could have earned much more. “Ip Man 2″ was leaked online on May 4, one week after its release. The pirated version has attracted more than 10 million clicks. 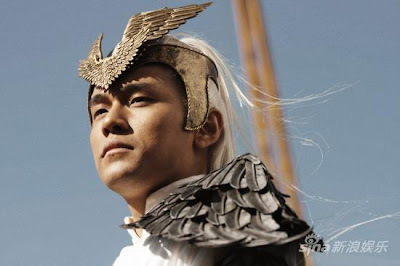 That would amount to 300 million yuan (US$44 million) at the box office, the producer estimated. 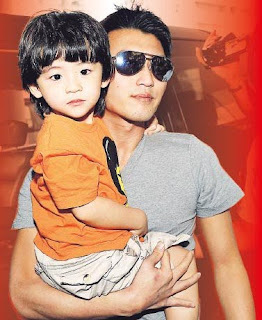 Although Nicholas’ parents, 1950s heartthrob Patrick Tse and former actress Deborah Li, told the media that the child hasn’t been named, sources previously said the parents have decided on ‘Marcus’. Marsha Yuan guest performed at Michael Wong’s Legend Reborn Macau show while mom Cheng Pei Pei watched from the front row. The inaugural Cross-Straits Film Exhibition aims to boost exchanges between filmmakers and audiences of the mainland and Taiwan. - Director-actor Zhang Guoli, the seminar host, pointed out that only 100 [out of 406] of the new feature films had gained national releases.